Revenge Spells, an always interesting and always controversial topic! Are revenge spells ethical? Are they part of the darkest black magic and should never be used? As stated in most Wiccan redes, will revenge spells invoke the returning power of the 3 x 3. Meaning that all spells put out into the universe will come back to the spell caster 3 times as powerful? The answer is YES… and NO! First, let’s discuss the negative side of the story. Like curses and hexes, using magick for revenge is often frowned upon by the Wiccan and Occult communities. It is generally agreed that revenge spells l gives off a bad vibe and invites bad karma. The very basis of witchcraft and Wicca is to do well and project goodness out into the universe. There is no law or bad karma when we try to improve our lives or protect ourselves by using real spells of magic. Sadly there is also no law about revenge spells, voodoo dolls or other magick that aims to harm others. Controversy? Yes but illegal – no. So, the negative side is pretty clear. No one says that these revenge spells or hexes won’t work. It is just frowned upon and in the eyes of many including myself, not what white magick is all about. However, the dark arts have strong pull and temptation. This is especially so when we are highly emotional and are indeed looking for revenge. If you want to seriously consider casting revenge spells then you must be careful. It is a dark place when you start messing around with these spells or other curses. And you open yourself up to counter revenge, bad karma and of course the three-fold rule. You may also harm an innocent person as you are caught up in your rage and emotions. So, Revenge Spells Are All Bad Then? No, not saying that at all! There are a few points of view that need to be explored to fully analyze the situation however. Then you can decide whether or not casting these types of spells is a good idea. No matter what we do and how well we try and live our life, there will always be someone who wrongs you for one reason or another. If you truly feel that this is the case and you totally do not deserve this wronging, then is it not unreasonable to believe that you can apply some sort of revenge to this person or persons? The key distinction to make is that we are talking about pure revenge. And revenge means basically, to retaliate against or make even someone that has wronged you unfairly. So you are not firing the first round but you are in a way, defending yourself. You are also redirecting the negative energy that has been sent your way in one way or another. Is it so wrong to use magick to redirect this negative energy? Especially if someone has hurt you or damaged you or your reputation without justification? It’s Even Hard For Me To Take A Genuine Stance! As I write this article for you, even I can see both sides of the story! However after much thought, I remain on the side of good and advising against getting involved with casting revenge spells and other curses or hexes. I believe in the power of three and karma. I also feel these negative energy spells are best to protect yourself against and not send them out into the universe. Be careful when casting revenge spells! However…as promised here is a typical sort of vengeance spell for you. That is, if you really still feel that you want to use one. All I say is beware and be sure of what you are doing! Something to remember before you get started. These types of spells are not as innocent and pure as beauty or love spells that really work. They require total faith and a complete submission of your soul to the black magic at work. As with most black magick, black is the main color of the ingredients and utensils. You will need a black candle and some blackberries enclosed in a black cloth with black thread. Visualizing the candle to be the person you are cursing, speak all that you need to in as much detail as you can to the candle. After you have finished the curse part, bury the candle, cloth and the blackberries in the ground just like a grave. It is done! Please use this real spell with caution. There is however another way that you can cast a revenge spell but in a different light and more like an exchange of luck. This way, if someone has wronged you, you can simply exchange it back to them. This is a much safer way to try and exact some revenge. This way will also not cause bad karma to come back to you. Where Else Can I Find Revenge Spells? 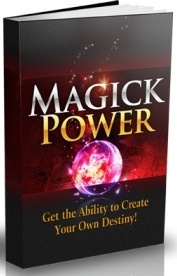 You can learn more about this type of magic spells that really work as well as get the range of revenge spells as part of the Magick Power e book and bonuses. It is an amazing resource with well over 150 spells and the answers to many questions you may have regarding real magic spells, rituals, black and white magic and all things Wicca and witchcraft. Go there now, have a look for yourself and start casting many spells including revenge spells.